Hey everyone, here’s my last video for my Learning Project. I think I really was able to learn some cool new things this time around. Thank you so much for you support, and I hope you enjoy! Hey everyone, here’s my latest video. Also want to give a big shout out to Justin Guitar. Dual Citizenship: What does it mean to be a Digital Citizen? In our last online meeting for our ECMP455 class, we discussed various topics concerning the realm of technology and its use, for good or ill, in the classroom and in the world. It seems to me that there are a lot of dangers with using technology and more specifically the internet. But many people, when they see the evil that can occur because of the internet, are frightened and lump all of technology together, the good and the bad, which causes them to either restrict the use of it for themselves and their children. Now, people are entitled to their opinions, but I don’t think that that response is the correct answer. It seems to me that if there are some guidelines or rules that are followed, it would make it less dangerous for everyone to use technology by severely limiting the risks. It seems like the problem is not too much technology, but not enough understanding of how it can, should, and should not be used. What does it mean to be a good Digital Citizen? Dean Vendramin, a respected teacher colleague of mine, talked about digital citizenship and gave a few great points (look at the column on page 3) for how teachers should approach using technology to help appropriately integrate it into their schools, their communities, and their lives. He goes through and talks about how teachers should be informed about what’s out there, that they should get involved with some tool and integrate its use in the classroom. Using the tool teachers should model appropriate use for students, they should inform parents and admin, and lastly have fun whilst using this new tool. The best part is that if a teacher is unsure about something, they can feel free to ask questions of someone who does no more about the topic. Zachary Cowper also shared some really good points on his blog, also talking about Digital Citizenship, and even incorporated a sweet rap video that gave a few thinking points to ponder. These are all good things to think about when trying to be a good Digital Citizen. So, how does one be a good Digital Citizen? Follow some of the steps given in the video and elsewhere, and be considerate of who might see the post and who might be affected by it. Hey everyone, here’s my second video! My relationship with Twitter began back in 2013 in ecmp355 where I was encouraged to use it as a tool for the class. I did not use it much then, but I followed a few people and would occasionally scroll through to find something interesting or useful. I started using Twitter a bit more the following March, when Russia waltzed into Crimea and took it for it’s own. So to stay in the know on the incident, I followed a few news organizations on Twitter. For a couple years I would use Twitter very sporadically, following teachers and professors here or there, but never anything that really was education focused. Then I began my Internship, with the wonderful and very Twitter-proficient Dean Vendramin. Dean is a big proponent of edtech, and avidly uses Twitter in his classroom to promote everything that goes on within. I had never seen anything of the sort, and so it was really cool learning firsthand how one may use Twitter in the classroom. Great. So, after all of this, what do I think of Twitter? I believe that twitter is a very valuable tool to be used by educators, as seen by demonstrations by @vendi55 and @courosa. I think that it is a great place for teachers to ask questions, learn new ideas, and share resources with each other. It’s like a giant staff room where all the teachers are brimming with new ideas, techniques, and resources that they want to share. It’s really cool when you think of it that way. Overall I think that it’s a fantastic resource that is underutilized by many. So saying, I will admit that I don’t utilize it as much as I could or should. I definitely find it exhausting to see so many different posts by so many different people. Not saying that what is shared is bad, on the contrary, the amount of great resources alone make Twitter worth having, but it also seems to add to the burden of the teacher who wants to do their absolute best within their classroom. Maybe that’s just me though, and that as a teacher I need to recognize that I’m not going to do everything perfectly, nor will I ever find the “right way” to teach all students, and that the best thing I can do is to do my best and learn when I can. Overall I still think that Twitter is a great tool, and I highly doubt that I would be even where I am at now with it had I not been encouraged to use it in ecmp355 and ecmp455. I hope your experiences are always beneficial whilst using it. 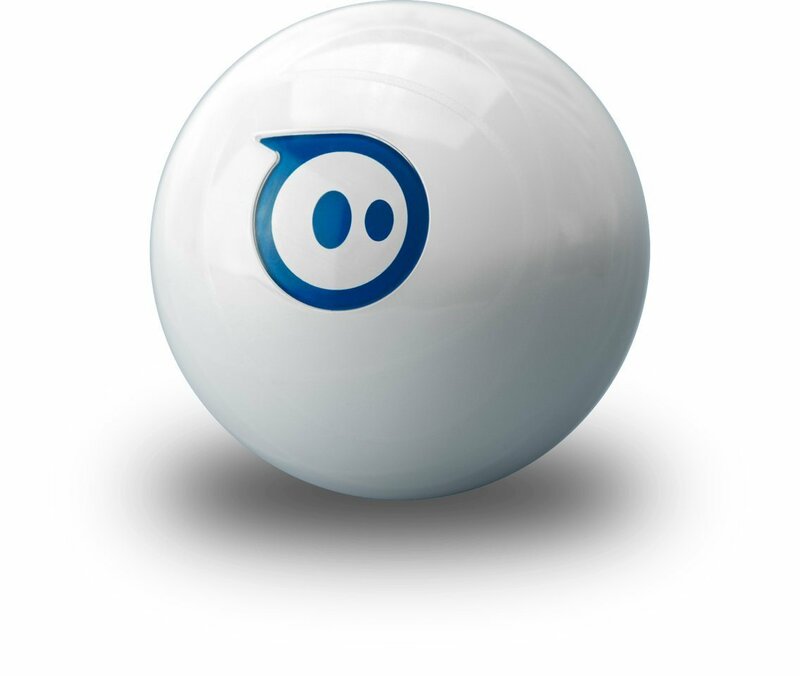 Mechanically, a Sphero device is a spherical robot that can be controlled via bluetooth. I was able to test these out during my Internship, and it was amazing the possibilities. There are many, many apps that one can get on their smartphone to control the Sphero, the coolest of which is their Lightning Lab app. The Lightning Lab app previously only allowed students to program their Sphero device using block-coding (like Scratch). But, during my time Interning, this app updated to include not just block-coding, but type-coding and (something I had never seen) draw-coding, in which students would draw a path on their smart-device that would then program the Sphero. It was all really cool. Overall the reason that I think that Spheros are valuable is because it is a device that will get students excited (who doesn’t want to control a robot) about coding, which is such an important skill. My cooperating teacher, @vendi55, always reminded me that, as educators, we are preparing students for jobs that don’t even exist yet, and one of the best ways to do that is to teach them not only the skills involved in computer engineering (as technology becomes more and more prevalent in our society everyday), but the skills that allow them to become producers in an evermore consumer-based society. Thank you for reading.